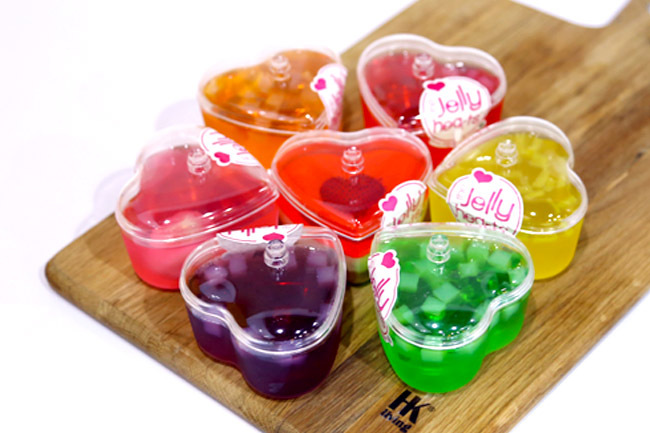 TheJellyHearts – Where To Get Rainbow, Mosaic, Lychee Jelly Hearts Of All Types. So Pretty! 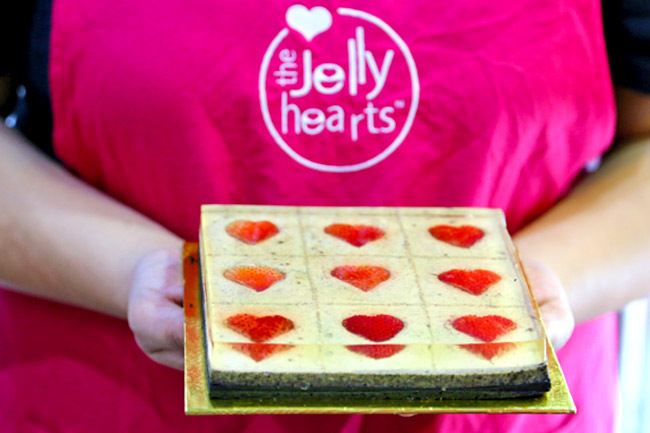 We should feel proud of the team behind TheJellyhearts, a story of home bakers turned entrepreneurs and shop owners. 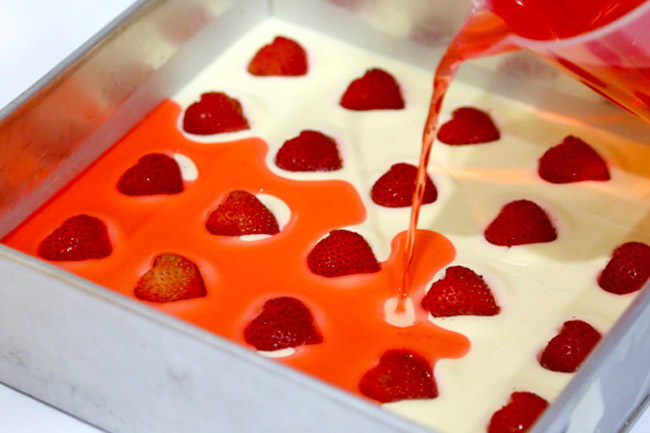 It all started with the ‘Jelly Heart’, the piece of cake dessert with jelly on the top, cheesecake at the bottom, typically complete with a heart-shaped strawberry encapsulated in the middle. 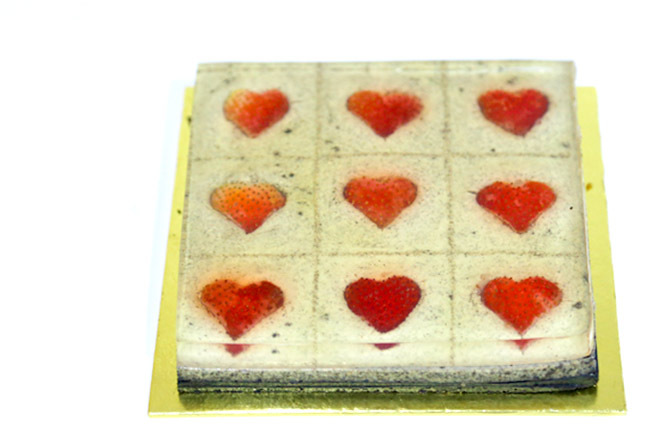 I must have seen and eaten different variants of the Jelly Heart dessert over the years, of different colours, fruits, and recipes, but it was TheJellyHearts who probably started this whole trend. Back then, husband and wife team Darren and Candie decided to turn their passion around in a much bigger way, and has stayed as the first and only shop that sells the full range of Jelly Hearts. Candie started out baking as a hobby back in 2007, documented her recipes and creations on her blog like many other home bakers. Her Jelly Hearts became really popular, and the opportunity to set up a business came knocking. A 5-figure sum then was spent investing on a machine to produce the biscuit crust layer, and turned out to be money well-spent for the consistency achieved and effort saved. 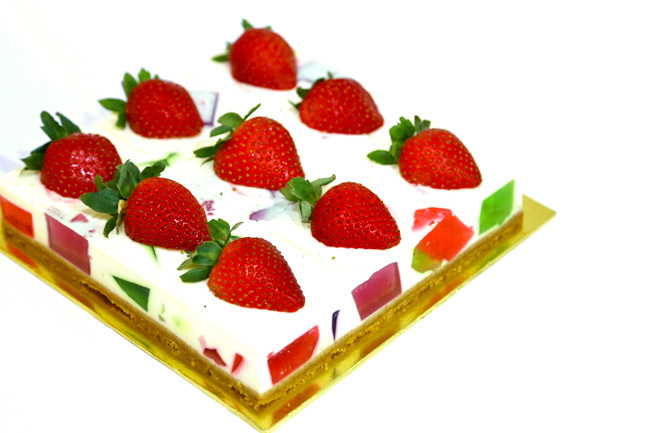 This is the most original form, and somehow still my favourite – red strawberry jelly, full cream cheese cake with digestive biscuit bottom. I like how the piece actually stays in shape without wobbling much and doesn’t create a mess when consuming. Plus those clean, clear edges must have took quite a while to get it all precise. I bought this home and this turned out to be what my mum liked best. Not difficult to understand why. LYCHEES. The staff at Raffles Place told, “The ladies like these pink coloured ones.” Now, who can resist pretty in pink. One of the TheJellyHearts’ newest flavours. 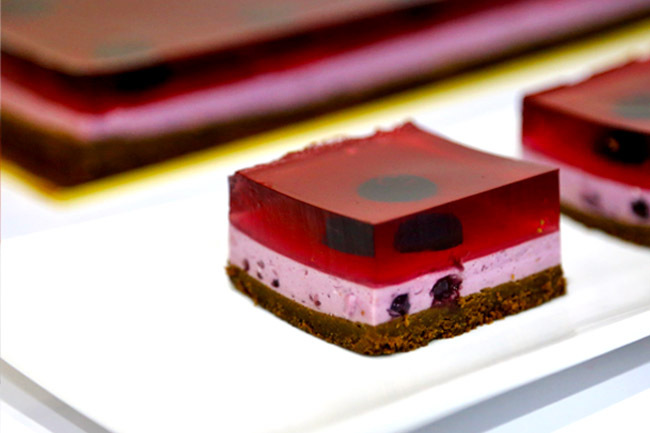 The Heavenly Blueberry uses blackcurrent jelly, blueberry fruits, blueberry cream cheese and a chocolate biscuit base. Good for those who prefer something slightly richer with that hint of sweet-sour aftertaste. The Mosaic cake is gorgeous-looking! 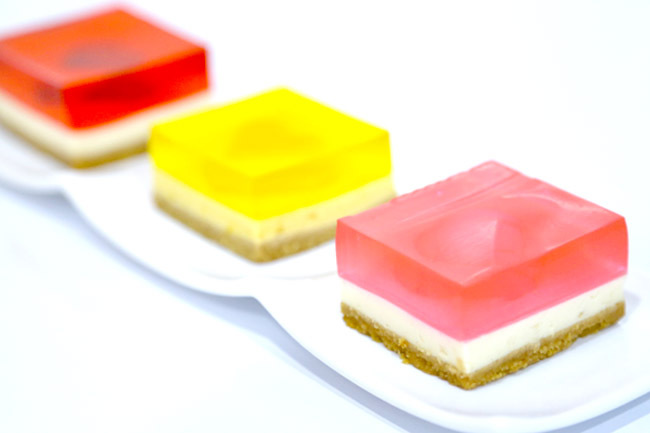 Somewhat like a reverse Jelly Heart, jellies of different flavours and colours such as the red strawberry, orange, and yellow mangoes are added to the cream cheese layer. Kids should enjoy this – crushed Oreo bits in the cream cheese, crunchy oreo base, still with the signature strawberry heart in the middle. For those who like to try a sampler-set, this is for you. Furthermore, these heart-shaped jelly cups can be further customised with tags and ribbons which would make terrific gifts for corporate events and weddings. Making the Jelly Heart LOOKS simple, but those who have actually tried it will attest that A LOT of effort is needed, especially in terms of chilling each layer. 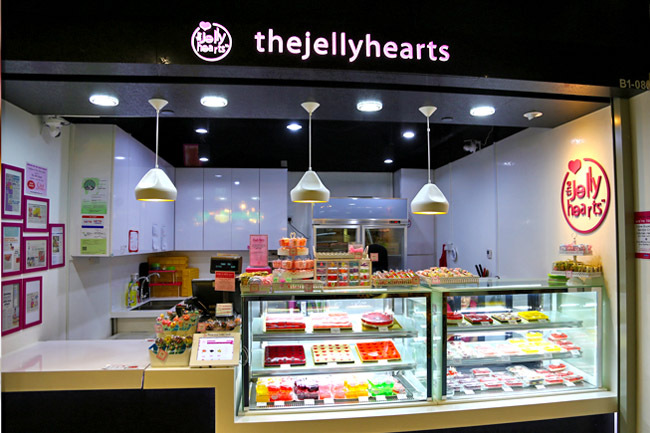 For me, other than saving some mess and sweat in the kitchen, TheJellyHearts has indeed grown their range of flavours and offerings, which you can purchase at your convenience online or at their shop spaces at Pasir Ris or One Raffles Place. 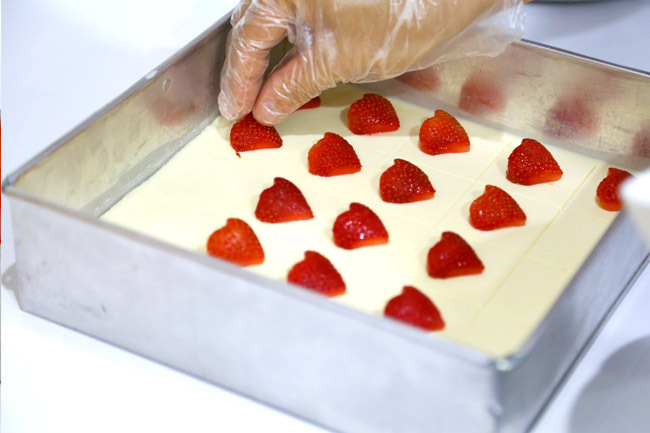 Cakes from TheJellyHearts are Halal-Certified, can last up to 3 days if stored properly in the refrigerator. 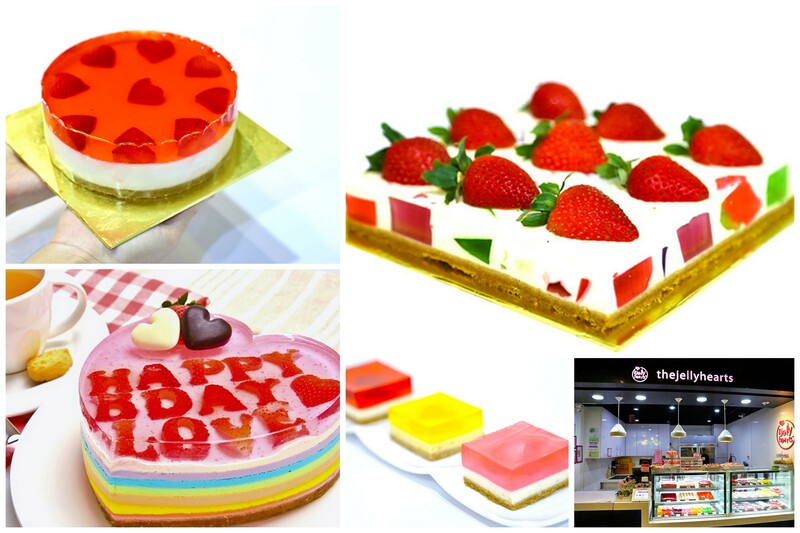 Plus, you can now customise Jelly Heart cakes with wordings cut out from fruits. 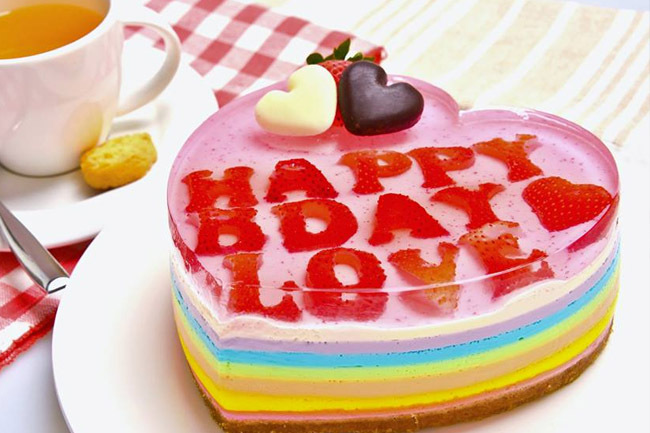 This rainbow birthday Jelly Heart is just too pretty. This Christmas Snowfall Limited Edition Jellyhearts has luscious Milo flavoured Jellyhearts with loads of refreshing berries. 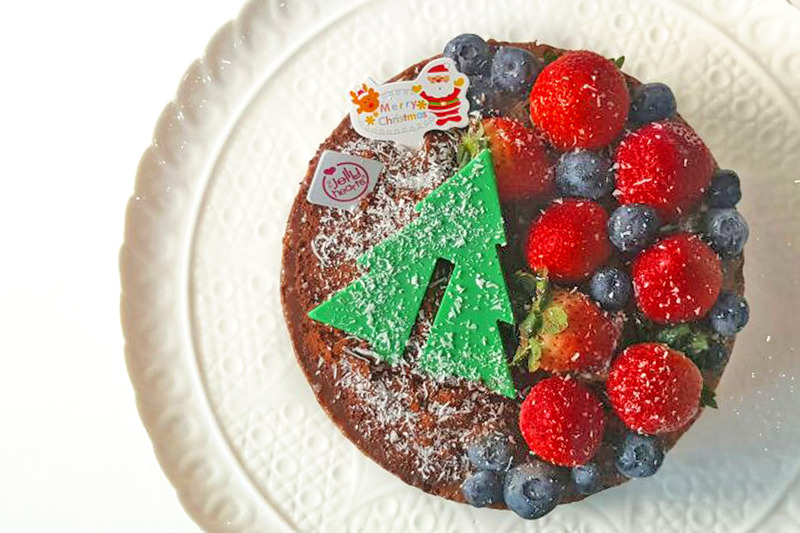 I bought 3 of these cakes, and will be giving them to readers for Christmas! Step 3 – COMMENT below: What is your Jelly Heart flavour? Contest ended 16 December 2015. Congrats to Jaecy Wong, Lee Keng Choon and Jaz Moh for winning a Christmas Snowfall Jellyhearts! * This post is brought to you in partnership with TheJellyHearts. Mosaic Love! I would want to win this for my family’s Christmas party! I love anything thats have the word Milo in them..
Milo flavored heart jelly !! Can’t wait to share em with my colleagues! Thanks for the giveaway! 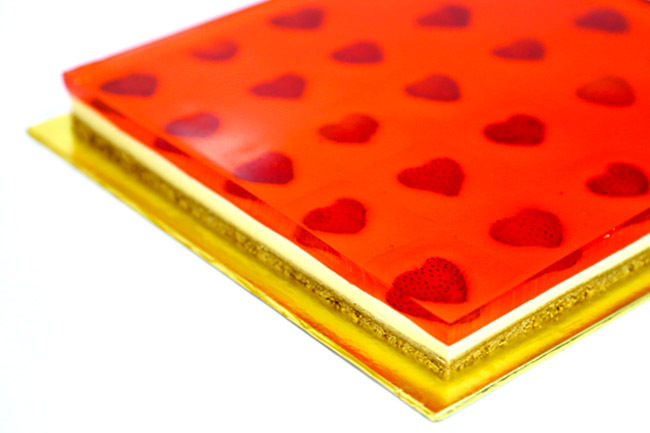 All the jelly cakes looks so different; with so many intricate layers! Can’t wait to taste em! Tempting Oreo! My daughter’s favorite! I love classic original ! MILO!!!!!!!!!!!! TO CELEBRATE THIS CHRISTMAS FESTIVE!!!!!! My favourite’s still the classic original with strawberry jelly! My all-time favourite , Classic Original! Tempting Oreo as love is always in the centre of my heart, mind and soul. Luscious Lychee! Jelly and Lychee combined together with my fave Pink colour ! A big fan of their classic original!!! Liked and shared on Facebook. Love the classic but would like to try the Ore flavour this time. Thanks! Luscious Lychee… it so yummy . Would love the Mosaic love! 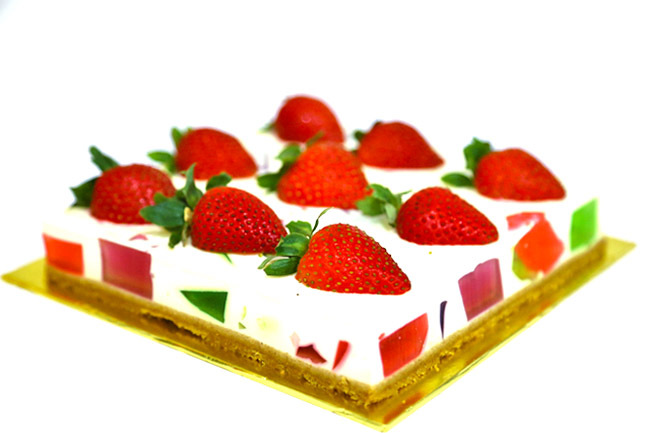 The different layers made of different fruits looks so pretty and delicious! My whole family likes fruits as well Thank you for hosting the giveaway! Luscious lychee. Sometimes I succumb to pretty pink things. it’s a plus that I love how the sweet lychee goes with that tinge of salt from the cream cheese! Would love to try the heavenly blueberry. Classic original will always be my favourite! You are very right when you say it looks easy, but takes a lot of effort. I tried doing it once for my partner. Though time-consuming, it is definitely worth the effort! Back to basics is the best so original flavour for me is yum! Tempting Oreo a perfect gift for any party host. Hope to be family gathering dessert. My favourite would be the luscious Milo flavoured Jellyhearts. Love the Classic Original & hope to be 1 of the 3 lucky winners. Liked & Shared! I would like to have the classic original!! Luscious Lychee as i cant resist anything that’s in sweet colours too & the lychee taste! Thank you for having this give-away!! My jellyheart flavour is Luscious Lychee. Lychee is one of my all time favourite fruits. Tempting Oreo !!!! YUMZZZZZZ !!!! Mosaic Love Thank you for organising this giveaway! My favourite would be Classic Original. 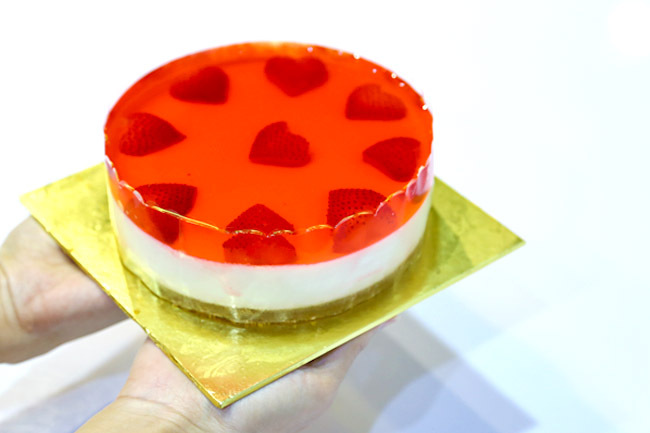 Love the irresistable red strawberry jelly, full cream cheese cake with crunchy flavourful digestive biscuit bottom. Hope to win this Christmas Snowfall Limited Edition Jellyhearts for my brother’s birthday! Congrats to Jaecy Wong, Lee Keng Choon and Jaz Moh for winning a Christmas Snowfall Jellyhearts! Please reply your email to DanielFoodDiary@gmail.com with your contact details. Blessed Christmas!